It is as simple as that. The gift of faith, mediated by the Church, offers us nothing less than eternal life. I find that this is a point I keep coming back to in my own reflection and teaching. This is the heart of the proclamation of the Gospel, the goal of evangelization. The Church’s mission is to proclaim the Good News of salvation in Christ our Redeemer and to be the sacrament of that salvation for the whole world. As we celebrate during this Christmas season the birth of our Redeemer, Jesus Christ, we must remember with vivid clarity why he came among us. He came to save us from our sins and offer us eternal life with God. This is the greatest gift ever given. “O God, who have made this most sacred night radiant with the splendor of true light, grant, we pray, that we, who have known the mysteries of his light on earth, may also delight in his gladness in heaven” (emphasis added). Even as the Church celebrates the first coming of Christ at Christmas, she focuses our attention on the purpose of his coming. The Eternal Son of God took flesh from the womb of the Immaculate Virgin Mother and was born into our world so that he may one day draw us into the eternal gladness of the Kingdom of Heaven. Christ humbled himself to share in our humanity so that we would come to share in his divinity (from the prayer at the offertory of the Mass). May we please never forget this primary focus of the purpose for the Church herself. As we go about all the wonderful works, ministries and apostolates of the Church on the parish and archdiocesan level, let’s not forget what it’s really all about – the salvation of souls. We evangelize, teach, preach, minister to special needs and communities, care for the poor and needy, advocate for justice, and do so many other good works so that we might bring people to a life-giving relationship with Jesus Christ and to the glory of eternal life one day with God. This means that, in response to Christ’s mission in the world, we all come to repentance for our sins and avail ourselves of the mercy of God shown forth in the babe of Bethlehem. We seek to lead others to this same conversion and repentance for the sake of salvation. The Word was made flesh and dwelt among us in order to reconcile us to the Father in his life-giving passion, death, resurrection and ascension into Heaven. As we celebrate the holy Mass this Christmas, and every day, let us recall that just as the Holy Spirit overshadowed the Blessed Virgin Mary so that the Eternal Son of God would become flesh in her virginal womb, so that same Holy Spirit comes down upon bread and wine, and Christ becomes truly present in the sacrament of our salvation. My sincere and fervent prayer for all of you at this Christmastime is that we all come to a deeper appreciation for the greatest gift God could give us. It is the gift of his Son, eternal salvation, and gladness forever with him one day in his Kingdom. 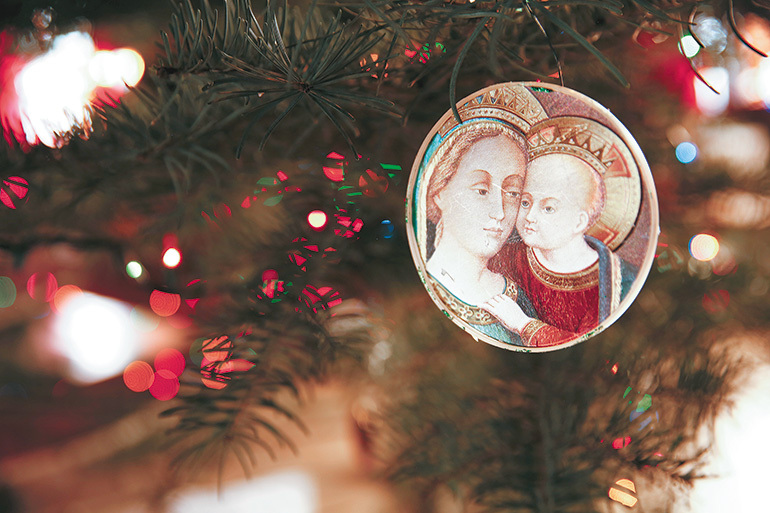 A blessed Christmas to all of you, and all God’s graces in the New Year! eternal life This comment has been hidden due to low approval.